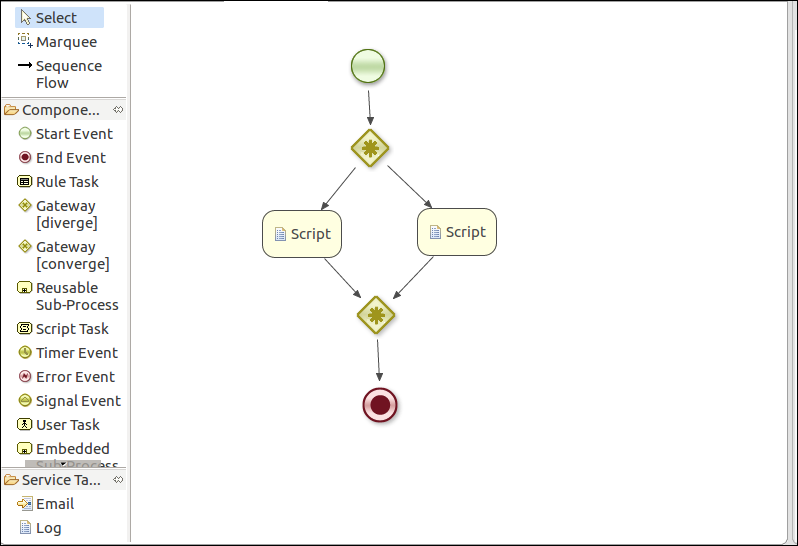 Step 1: Open the blank .rf file in Eclipse editor and draw the following WorkFlow Component using Drag and Drop. Step 2: Set the properties of every Event Task as we seen previously in the Validation part, the following screen appears. Step 4: Click on Add Button and Set the field as below screenshot. 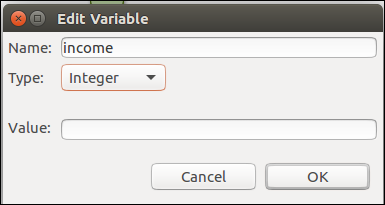 Step 5: Now our properties will look like below screen in which we had set the Id and Variable. 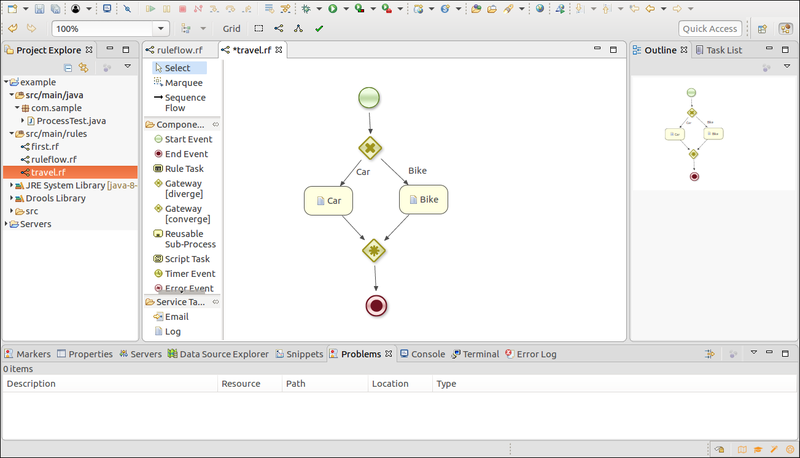 Step 8: Now we run the ProcessTest.java file as Java Application and see the output. Step 9: Again we change the value in params.put() function and re-run the Java Application and see the change in output.